Heya, Obviously I'm new around here. I found out about Dragon Knightpretty late into it's Australian run but absolutely loved it. 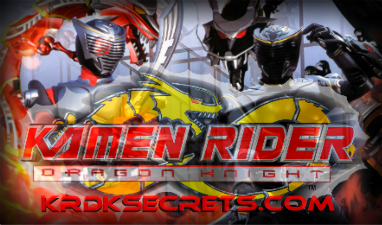 I'm looking into seeing other Rider series, and am making some progress in that regard, but Dragon Knight remains the only Rider Series I've ever watched. How about something random about me? If I was a Rider I believe I'd be Kamen Rider Phoenix, due to my apparent ability to heal the emotional wounds of others and the fact that when someone manages to really tick me off my fury is like the flames of hell. ... and the fact that when someone manages to really tick me off my fury is like the flames of hell. Welcome Magnus and SurviveOnyx. Enjoy your stay here on WATS! I see that we have two more newcomers: KingdomRider and Aqua Knight. If you're reading this then welcome to WATS! Enjoy your stay. Welcome to WATS, KingdomRider and Aqua Knight! Enjoy your stay! Hiya! Just signed on to the forums. I am a huge Kamen Rider fan. I loved Dragon Knight, btw. I also enjoy Super Sentai and Power Rangers. Great to be here! Welcome to the group, fellow fan of a great Kamen Rider!!!! Welcome to all the newcomers after me. I've been slightly busy so I haven't had much time to visit all the forums i frequent. Though I have recently finished watching all of KRDK. Now I must say that it was truly an awesome series for something that practically had half the budget that a standard PR series has. At least I can now talk evenly about the series with it's fellow fans to a small point. Looking around the forums, I noticed that we have another new member, The Pretender. Welcome to way-above-top-secret! Hey hey hey! Well, let's see...CHiCA and DK09 should know me, but for all who don't, I go by kidTorque! I'm a chick, btw and I'm 15. Kamen Rider Torque is my favorite Rider because he's got the best gear and the best suit.